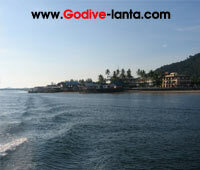 Go Dive Lanta is PADI dive center own by Thai offer PADI diving course can start everyday. The PADI four-day Open Water Diver Course is ideal for those keen to quality at the first stage of diving, and results in an internationally accepted accreditation which allows you to dive worldwide. The course includes one or two days of classroom and shallow water training, followed by two days of boat diving with instructors. To ensure the availability of instructors speaking a certain language, as well as guaranteeing boat space, it's advised to pre-book dive courses before arrival at Ko Lanta. Looking for another dive courses on diving course page. We offer PADI e-Learning also.